You have a pending withdrawal request. Would you like to cancel it? More information how to install and use TonyBet Poker App. Welcome to TonyBet Poker, the home of traditional Texas Hold'em and Open Face Chinese games! Check out the newest promotions, grab the best offer, hit OFC cash games and participate in Sit and Go's or multi-table tournaments. Professional players and beginners are welcome to join our Leader-board races and improve their skills. Choose the best platform for your device and play TonyBet Poker wherever you are! Pineapple Open Face Chinese poker, the most popular OFC variation is derived from the standard OFC featuring Fantasy Land. Just as in regular Open Face Chinese poker, players get several cards in turns, and place them face-up before setting a 13-card hand, consisting of the top, middle, and bottom rows, of three, five, and five cards, respectively. The game begins with the players setting their first five cards each before the pineapple part kicks in. The first five cards are placed just like in the regular OFC, but then players are dealt three cards instead of just one at a time. Each player can then use only two of their three cards in any of the rows before discarding the third one face-down. Join in the fun! Texas Hold’em is one of the most popular types of poker in the world and it’s played with a standard 52-card deck that gets shuffled before each hand. First, each player gets dealt two-hole cards. That is followed by three rounds of community cards that are dealt face up and bets are placed after every round. The best five card hand, formed from the selection of the two hole and the five community cards, wins! Every hand begins with a small blind, a big blind, and a round of betting. The exact rules for the betting change slightly in Limit, Pot Limit, and No Limit games. The first three community cards are called the Flop, and they are dealt after the first round of betting. Another round of betting follows, and then the Turn – the fourth community card - is dealt. After the third round of betting, the last community card, called the River is dealt and it is followed by the final round of betting. Whoever has the best hand by now is the winner! The small and the big blinds are forced bets, and the clockwise-rotating button decides who has to place them. Every player then has to either call the big blind, raise, or fold. The minimum bet: in Pot Limit Hold’em is the same as the size of the big blind, but the players can always bet up to the size of the pot. Minimum raise: The smallest possible raise must be equal to the previous bet or raise in the same round. For example, if the first player to act bets €5, then the second player must raise a minimum of €5 (making the total bet €10). Maximum raise: The biggest possible raise equals the size of the pot. The latter is defined as the total of the active pot, plus all the bets on the table, plus the amount the active player must first call before raising. Example: If the size of the pot is €100, and there is no previous action on a particular betting round, a player may bet a maximum of €100. After that bet, the action moves to the next player clockwise. That player can either fold, call €100, or raise any amount between the minimum (€100 more) and the maximum. The maximum bet in this case is €400 - the raiser would first call €100, bringing the pot size to €300, and then raise €300 more, making a total bet of €400. In Pot Limit Hold’em, there is no cap on the number of raises allowed. In No Limit Hold‘em, a bet must not be smaller than the required minimum. However, the only upper limit is the amount of chips that the player has in front of them. Just like in the Pot Limit Hold‘em, a €5/€10 No Limit will have the blinds at €5 and €10. In Tournament Hold‘em, there are certain time frames by which the increments to the blinds are made. Normally, Texas Hold‘em does not have ante bets, but in tournaments the antes will be added in the later rounds and their size will be decided by the appropriate betting limits. The key to any poker game and its variations is knowing the hand rankings. Of course, you can always bring a cheat sheet to the game, but that will just give you away. Royal flush is the ace, king, queen, jack and ten of any suits. A royal flush is an unbeatable hand. Straight Flush: Five suited cards in sequence. Highest rank at the top of the sequence wins when players tie. Four of a Kind: Four cards of the same rank, and one side card (kicker). Highest-ranking Four of a Kind breaks a tie. Full House: Three cards of the same rank, and two cards of a different, matching rank. Full House with the highest ranking three cards breaks a tie. Flush: Five suited cards. If multiple players have a flush, subsequent card rankings will be used, one at a time, to determine the winner. If all five cards are identical, the pot will be split. The suit itself is never used to break a tie in poker. Straight: Five cards in sequence. Highest-ranking card at the top of the sequence breaks the tie. Note: The Ace is the only card that may be used at the top or bottom of the sequence. A, K, Q, J, T is the highest (Ace high) straight; A,2,3,4,5 is the lowest (Five high) straight. Three of a kind: Three cards of the same rank, and two unrelated side cards. Highest ranking three of a kind breaks a tie. Two pair: Two matched-rank cards, two different matched-rank cards, and one side card. Highest pair breaks a tie. The second pair or side card will break a tie if certain cards are identical. One pair: Two matched-rank cards, and three unrelated side cards. Highest pair breaks a tie. The player with the first superior side card will break a tie if pairs are identical. High card: Any hand that does not qualify under a category listed above. In the event of a tie: Highest card breaks a tie. If first cards are identical, the first superior card wins the game. Omaha is a type of a Hold‘em poker game, albeit with a few differences. You will be playing with four hole cards instead of two, and as per usual, a standard 52 card deck is used and shuffled before each hand. Your goal is to form the best five card hand. However, it is important to note that to form it, you must use exactly two of your hole cards and three of the board cards and this ratio cannot be modified in any way. You will find that the betting and the blinds are the same as in Hold‘em. Every hand begins with the players getting dealt four hole cards each. There‘s a round of betting, and the small and the big blinds. The minimum bet in Pot Limit Omaha is the same as the size of the big blind, but the players can always bet up to the size of the pot. In Pot Limit Omaha, there is no cap on the number of raises allowed. After the first round of betting, just like in Hold’em, the Flop consisting of three cards is put out, followed by another round of betting. All raises in the following rounds follow the previous example. The fourth board card is dealt, called the Turn and followed by a round of betting. The fifth card – the River – is then dealt, followed by the last round of betting. The winner is whoever has the best five card hand, which must be a combination of two cards from the individual player’s hand and three cards from the board. An example would be that if your hand is Ah Kc Qc Jc and on the board, you have 3h 4h 5h 6h 7h, the best possible hand in your case is Ah Kc 7h 6h 5h. Royal flush is the ace, king, queen, jack and ten of any suit. A royal flush is an unbeatable hand. Straight Flush: Five suited cards in sequence. Highest rank at the top of the sequence wins when players tie. Straight: Five cards in sequence. Highest-ranking card at the top of the sequence breaks the tie. Note: The Ace is the only card that may be used at the top or bottom of the sequence. A,K,Q,J,T is the highest (Ace high) straight; A,2,3,4,5 is the lowest (Five high) straight. Just like the regular poker tournaments, OFC tournaments are a fun and venturesome way to boost your bankroll. Test your skills at the Tonybet OFC poker tables, beat the competition and turn your buy-in into a respectable bankroll. Tonybet Poker holds the biggest online Open Face Chinese poker events featuring guaranteed prizes up to €5,000 as well as the only online OFC poker series. Specific Game Rules The game of Open Face Chinese Poker may seem a little complicated at first, but once you start playing, everything falls into its place. It’s true that the game has its subtleties, but they’re not hard to break for those with at least some poker experience. However, the newbies appear to get the grip of OFC pretty fast as well. So you’re ready to experience the latest trend in poker yourself. Good luck on your journey to Open Face Chinese Poker stardom! But before you dive into Online OFC action, there are a couple of things you should learn. The general game rules will guide you through the basics of the game which are actually much easier to grasp than it may appear at first. Poker Rake •	As a host, Tonybet Poker applies a Commission Charge ("Rake") to each poker game. At the cash game tables every hand is raked in Euros. •	Rake is calculated from the amount in the pot at the end of each hand. •	No rake is charged if action finishes before the flop. •	Pot-Limit Omaha and No-Limit Hold’em cash games are raked at 5% after the flop. •	For each pot, the rake is calculated in function of each player’s contribution to the pot. Example: Player A puts €2 to the pot, Player B puts €3 to the pot. The total pot is €5. 5% rake from this pot is €0.25. Player A pays 40% rake - €0.1 and player B pays 60% rake - €0.15. 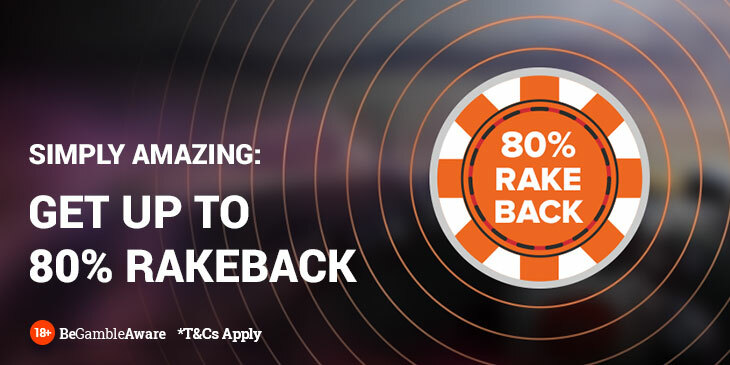 All Tonybet players are elagible for Rakeback. Tonybet Poker reserves the right to reduce the rake on certain tables. 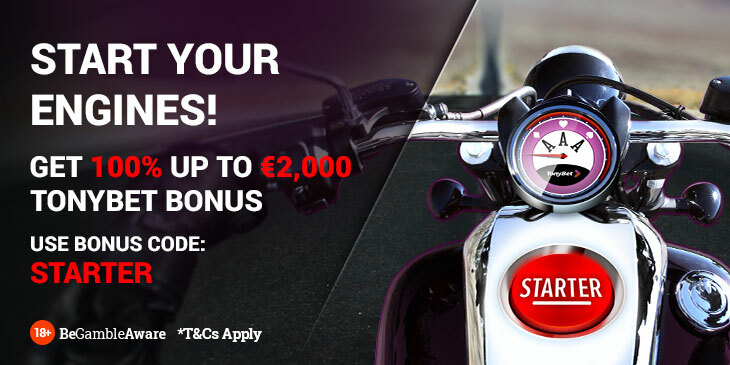 Tonybet Poker caps the rake at €4 on all limits. 1. All cash games, Sit and Go and Multitable tournaments are subject to rake. 2. Rake in Sit and Go and multi-table tournaments is paid along with the tournament buy-in, while in cash games it's deducted from every hand played. 3. Rake is calculated from the player’s win amount. 4. Only the player who wins the hand pays rake. 5. Total rake amount for each player is calculated at the end of the set. 6. When a player is all-in their rake is cancelled at the end of the set. 7. Each player is allocated an equal share of the rake in each pot for bonus clearing purposes, regardless of their result in the hand. Site rules are enforced strictly for the good of the entire community. Rules exist to ensure fair yet enjoyable play. Rule breaking is intolerable. Sanctions must ensue when rules are broken to ensure game integrity. Please follow the rules and you will always be a welcome part of the TonybetPoker family. •	Eighteen is the minimum playing age. Players may have to provide proof of age before granted account access. •	Residential jurisdiction must permit TonybetPoker play. •	Only one TonybetPoker account per individual. •	Only the account creator may access and play on account. •	TonybetPoker accepts no responsibility for the quality of your Internet connection. •	TonybetPoker is responsible only for its own server disruptions. •	Information between your computer and our servers will pass through a large number of "peers” on the internet, machines that are not owned by Tonybetpoker and that do not belong to your ISP. TonybetPoker cannot be held responsible for disruptions to such connections. •	Players should consider having a back-up internet connection available to ensure rapid reconnection. •	Collusion, defined as two or more players working together to gain an unfair advantage over other players, is strictly prohibited. •	Chip dumping – intentionally losing a hand to benefit another, is taboo. •	If you are involved in staking, swaps, profit-sharing, or any bankroll sharing agreement with another player, you may not play at the same cash game table or in the same Sit & Go tournament as that player. •	TonybetPoker reserves the right to examine players’ accounts and play to prevent unethical and impermissible activity. •	Using prohibited software programs while signed on to TonybetPoker warrants player expulsion or other sanctions. Our list of prohibited programs may be amended at any time without notice. •	Unfair play may result in severe penalties, including warnings, player restrictions, monetary seizure, and account closure. •	TonybetPoker has full authority to issue sanctions against any player, at its sole discretion, for real or perceived player rule infractions. Although players may appeal decisions, TonybetPoker decisions are final. •	TonybetPoker does not actively monitor chat. TonybetPoker is not responsible for verbal remarks and their real or perceived consequences. Use chat at your own risk. •	People who chat in a way that violates public decorum risk sanctions from TonybetPoker. Follow this rule: If you would say it in a face-to-face poker game and would expect trouble, don’t say it. •	You may not commit slander or libel against TonybetPoker. If it is untrue or you are uncertain of the truth, do not say it. •	You may not use the chat feature to promote any product or service. •	Flooding – using copious or meaningless text to interrupt chat – may warrant sanctions. •	Comments that may affect play are strictly prohibited. •	Report any problem chat immediately to [email protected] Tonybetpoker may suspend the chat privileges of rule violators. •	TonybetPoker is not responsible for consequences resulting from unauthorized account access and other security breaches. Players must remain cognizant of malicious software and protect their passwords at all times. •	Tonybetpoker cannot be held liable for any losses that result from a breach of security on your machine. •	You may at any time, at your discretion, choose to exclude yourself from using any services provided on the Website by following these instructions. Such exclusion can be made either permanently or temporary. Information on self-exclusion may be found within the Profile page when logged in, or by contacting our support team by telephone +370 700 33309. During the exclusion period, you will not be able to open or use your TonyBet account. We would like to urge you, that if you continue to gamble during any period of self-exclusion (form ourselves or other operators) that you seek urgent professional help. •	You may at anytime determine your one deposit limits based on a maximum daily, weekly or monthly deposit limit. A request to increase an existing deposit limit will not be affected until 7 days after the relevant request is made. •	When setting up your Tonybet account you may choose to impose a ceiling on the maximum losses you may make. The limit will block deposits if the net deposit limit (deposits-withdrawals) has been exceeded for the selected time period. In addition to the preceding we offer additional limitation measures that can be found on Profile page. •	Never share your online account. •	Do not use the same password for more than one account. •	Do not divulge personal information about your account INCLUDING PASSWORDS to anyone – even people who claim to be from customer service or security. •	Do not write down your password or save it on your computer. •	Do not send your password to anyone or communicate it by telephone, e-mail or instant messaging. •	Do not leave your computer unattended while logged on to your account. •	Change passwords regularly, especially when there is suspicion they may have been compromised. •	Do not use the same passwords for your operation systems and software/accounts passwords. •	To make a secure password, make it alpha-numeric. •	Make your password as random as possible, but easy for you to remember. •	Keep your anti-virus software up-to-date. •	Make sure your firewall is secure. •	Avoid logging in to your TonyBet account on public computers – e.g. libraries, internet cafes, etc. •	Always keep your OS, browser, and plugins up-to-date. •	Use both upper and lowercase letters and try to include at least 1 number. •	Passwords should be a minimum of 8 characters. •	Do not use obvious words or your personal user information such as your first or last name. •	Do not use passwords that match the format of your birthday, telephone numbers, or other common numbers people may be able to guess. •	Do not use a password that reflects you username in any way. HAS YOUR ACCOUNT BEEN COMPROMISED? •	There have been changes to your account details that you didn't commit, such as your e-mail, home address or phone number. •	There has been activity within your account that was not done by you. This could include deposits or withdrawals or bets placed. •	You have received an email notification of a password change without any action by you. •	If any of the above listed events have happened to your account, please change your password immediately and contact TonyBet customer support service. •	To protect your personal data during communication with your web browser, the company uses secure and tested encryption technology. •	Online transactions continue to be protected by our cashier providers and our internal security encryption system. •	When transferring money from your Tonybet account to your credit card, bank account or any other payment processor, we want to be absolutely sure that it is you who receives the money. In order to prevent fraud we kindly ask you to provide us a copy of your official photographic identification. You can upload a scanned copy of this document during the registration process. •	Your online transaction security is one of our most significant concerns. •	All information transmitted online is encrypted using advanced logarithm combinations. All communication between you and TonyBet is also encrypted to the maximum strength supported by your browser using 256 Bit SSL encryption. •	TonyBet uses the 256 bit Secure Socket Layout (SSL) encryption software. This system ensures that all the information provided by you in the TonyBet online forms, such as payment details is automatically protected. We secure your private information using Godaddy SSL Certificates. •	The “Card not present” transactions are automatically protected by your credit card provider. You have the right to dispute a transaction if you believe your card has been used fraudulently. To provide you with extra security on your online transactions, we also support online authentication protocols, Verified by Visa and MasterCard SecureCode. If you suspect any player of using a prohibited program, please send an email to [email protected] and we will investigate. •	All Tonybetpoker games use a standard 52-card poker deck It is shuffled before the start of each hand and every time a new round of cards is dealt. •	Tonybetpoker reserves the right to alter the Cardroom Rules, Tournament Rules, Ring Games Rules, or Terms and Conditions at any time, without prior notice. •	Tonybetpoker reserves the right to issue any sanctions available when players break any of the foregoing rules. TonybetPoker management works tirelessly to ensure an equal and fair playing field. Therefore, management decisions are always final. Players may not appeal to any other authority. Tonybet Poker, the first-ever global Open Face Chinese Poker site is bringing you the full online poker experience with Texas Hold’em, Omaha, and OFC poker cash games, Sit & Gos, and MTT tournaments. Still the major OFC poker provider in the worldwide online poker market featuring all four game variations as well as a wide range of limits to play for, Tonybet Poker is also fully equipped with everything Hold’em and Omaha players are looking for. To play the Tonybet Poker games install our software on your PC or Mac computer. The Tonybet Poker app also allows you to play poker on iPhone, play poker on iPad and play poker on your Android device whenever you want wherever you want.